By Stephanos Ioannou on February 23, 2017 . 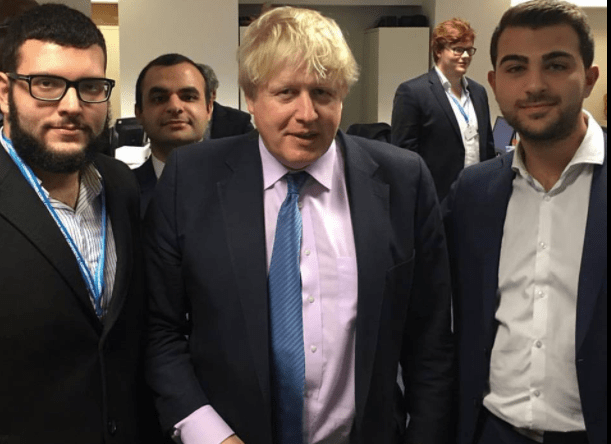 Today saw Conservative Friends of Greece (CFG) members help with the last day of campaigning for the Stoke and Copeland by-elections, whilst campaigning alongside Foreign Secretary Boris Johnson. The evening saw a number of CFG members come out in support of our candidates Trudy Harrison and Jack Brereton, that both are fighting to the core for a win in both constituencies. Meanwhile the Boris Johnson paid thanks to all those, including CFG, who turned up to CCHQ and made phone calls and pushed for people to back and vote Conservative. To help with the campaign, visit this link.